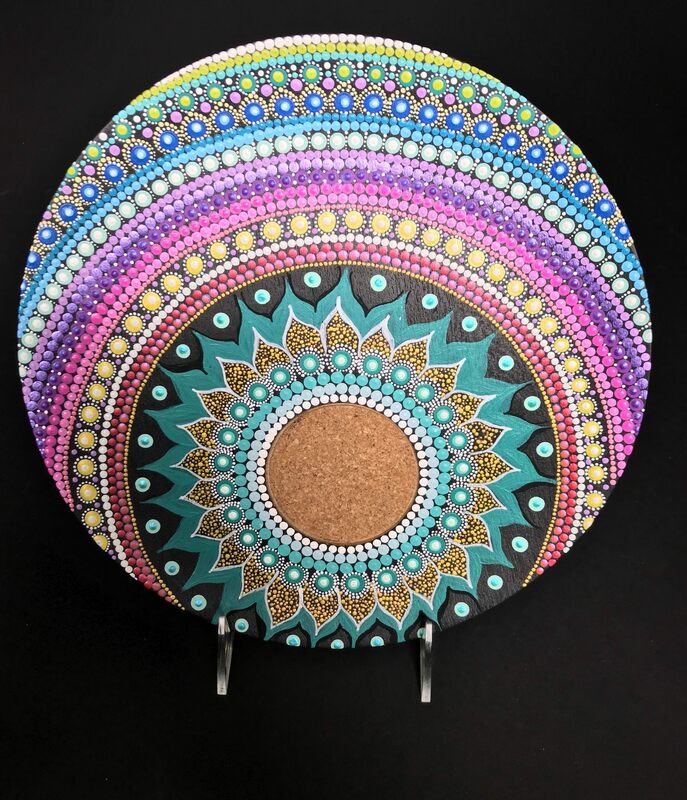 This is a unique and beautiful multi-colored dot mandala painting on a light-weight beverage decor plate that has a functional cork round to one side to potentially rest your drink. Finished with glossy varnish, the plate is more decor than utilitarian but you could still use it to rest a drink if needed. I enjoyed working on this unique creation and hope it finds a good home.